There is the possibility of building a completely free avatar. 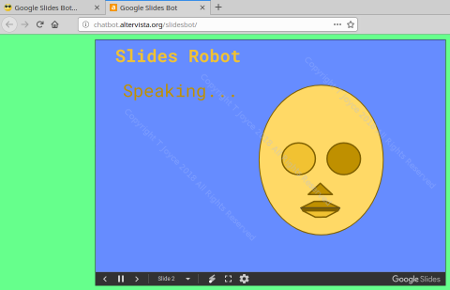 Starts out as basic shapes and polygons, simple and quick..
audio file in Google Slides. (More on that later). to Datahopa where it was born.